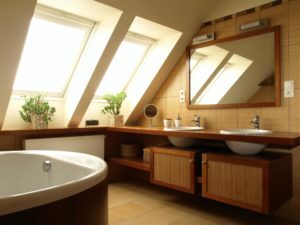 As baby boomers age, there are several types of home and bathroom upgrades they need to consider. 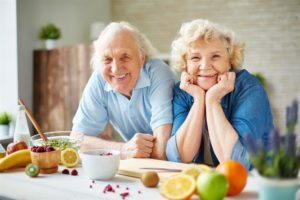 Most baby boomers understand their lifestyle is changing as they get older, especially if they desire to remain in their homes longer and enjoy their golden years. The bathroom is one of the most used rooms in the home, next to the kitchen. In order to continue to be able to enjoy your bathroom, you need to look at what types of upgrades can make things easier on you. There are several types of hazards in the bathroom, which increase in risk as we age. Recognizing these challenges and making changes will ensure you for the future. Walk-In/ADA Accessible Bathtub Enclosure – Climbing into and out of the tub becomes more difficult as we age. Installing a walk-in enclosure lets you continue to enjoy your tub or shower. If you have separate tubs and showers, you should also consider an ADA compliant shower system enclosure. New, Slip-Resistant Flooring – Bathroom rugs are a trip, slip, and fall hazard. You should get rid of these, as well as replace slippery tiled floors with textured, slip-resistant flooring. Avoid using the non-slip bath mats, as these can still cause you to slip, trip, and fall down. nts, have the hardware replaced with new, larger, or easier opening pieces. Upgrade the Lighting – Considering adding more light or having a privacy window installed. As we age, our eyes need more light to see clearly. When upgrading the lighting, choose energy efficient light fixtures with easy-to-change bulbs. Replace Light Switches – If you have small and narrow light switches, replace these with large press button types. Some styles even incorporate a night light within the switch to make it easy to find at night. Update Placement of Bathroom Accessories – Lower towel bars so they are easier to reach. Consider getting grab bars installed in new or current tubs and showers. Have non-slip strips added to the base of showers and tubs that are flush with the surface. You may also want to consider relocating cabinets, drawers, and sinks so they are easier to reach. For instance, if there is a possibility you might have mobility issues where you are not able to stand for long periods, you may want to remove part of a cabinet so you can put a chair in front of the sink or bathroom room.